Folk Alliance International, the world’s largest folk music conference, descended on one of Canada’s most culturally historic cities in 2019 and was host to countless spirited performances, discussions, and interactions. The festival is known for musical performances into the wee hours, but a relatively early panel yielded profoundly moving, honest, and inspiring discussion. Five artists, each with their own advocacy issues close to their hearts, discussed how they most effectively work to create change, and how they tackle challenges such as criticism, drawing a line between their personal and professional lives, and balancing life on the road with parenting and other commitments. The panel featured musicians Zoë Keating, Peter Katz, Aaron Myers, and Caroline Brooks, with Miranda Mulholland moderating the discussion. Watch the full ‘Artist Advocates in Action’ panel below. 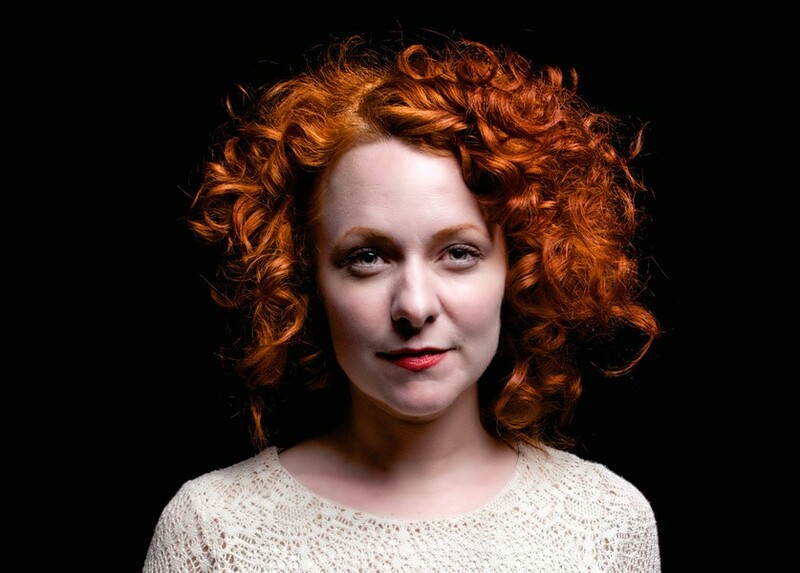 Caroline Brooks is a singer-songwriter, session vocalist and guitar player from Toronto. She is one third of critically acclaimed Good Lovelies, a JUNO award-winning band that has toured internationally for the last 12 years. They have released 8 albums and their latest single “I See Gold” is up for Song of the Year at the International Folk Music Awards. Outside of performing, Caroline is a sitting board member with the Mariposa Folk Festival and Muskoka-based advocacy group Safe Quiet Lakes. She and her partner also co-founded Secondhand Sunday, a community re-use and waste reduction program based in Toronto. 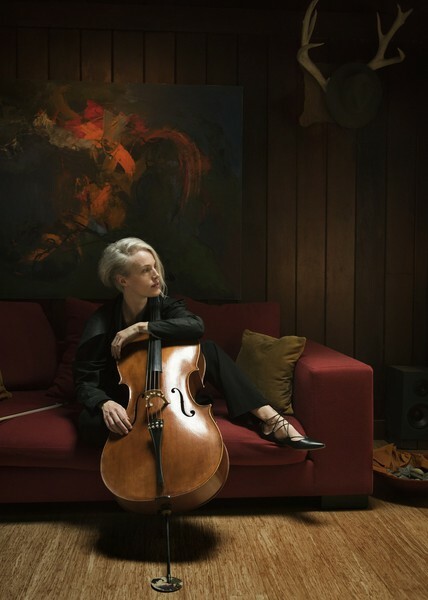 DIY Cellist and composer Zoë Keating has worked with many artists and productions, including Jeff Russo, Amanda Palmer, Imogen Heap and the podcast Radiolab. 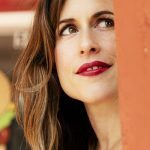 Her music has achieved a surprising degree of ubiquity for a DIY artist, from the bumper music to NPR’s Morning Edition to the thinking-music of the Sherlock Holmes character on CBS Elementary to the theme music for the Brazilian telenovela Para Sempre. 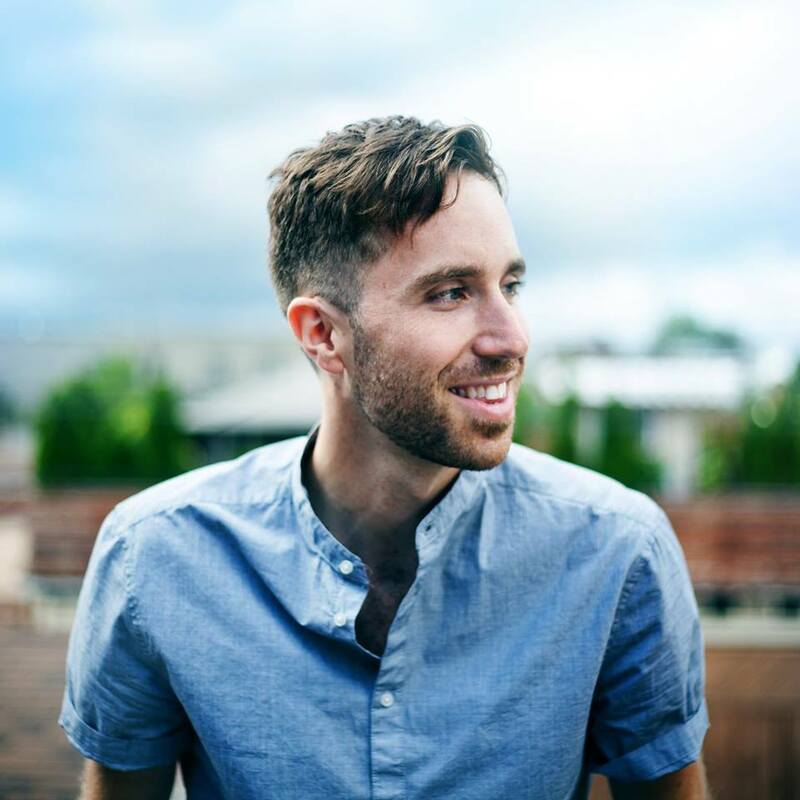 A vocal advocate for the rights of creators, Keating was elected a governor of the San Francisco chapter of the Recording Academy, named a Young Global Leader by the World Economic Forum, and serves on the board of CASH Music, a nonprofit organization that builds open source digital tools for musicians and labels. 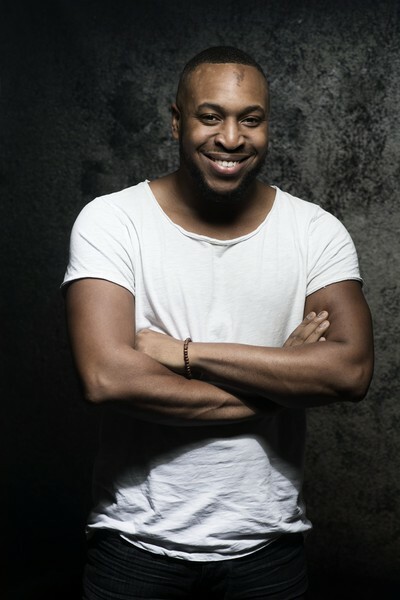 Mr. Myers is a life-long social activist and musician who uses entertainment to increase awareness of social issues. While a full-time college student Mr. Myers ran unsuccessfully for the office of Mayor in Corsicana, Texas. In 2008 he served as a field organizer for the Obama campaign in Florida. Mr. Myers is also a skilled volunteer coordinator event manager and public speaker an experienced music teacher and an army veteran. He has also served as National Director of the nonprofit Global Family Program. A jazz and soul musician Mr. Myers is the Resident Artist at Mr. Henry’s Restaurant in DC. Over the past decade, Peter has seen his albums debut at #1 on the iTunes singer-songwriter charts; he’s shared the stage and studio with the likes of Academy Award Winner Glen Hansard (Once, The Swell Season), JUNO Award-Winners The Good Lovelies, Polaris-Prize nominated Melissa McCelland (Whitehorse) and the Legendary Garth Hudson from The Band. 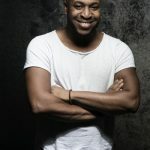 He’s toured all over the world, regularly playing to capacity crowds, and has managed to build an impressive fan-base of loyal listeners, selling over 25,000 copies of his discs mostly from the stage, one show at a time. Never content to sit still for long, Peter Katz has his eyes firmly set on the future. Classically trained on violin and in voice, Miranda is a versatile performer and in high demand as a fiddler and singer covering a wide range of styles. Her debut full length solo album, Whipping Boy, was released in May 2014 to critical acclaim. It became the flagship of her own record label, Roaring Girl Records which is quickly gaining a reputation for as a home for diverse and excellent artists. She is the founder of a music festival in historic Gravenhurst, Ontario called Sawdust City Music Festival which is now three years old. Currently she is a member Harrow Fair, a duo with Andrew Penner of Sunparlour Players. 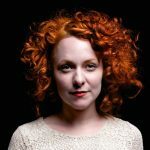 She makes select appearances in the violin show, ‘Bowfire’ and her fiddle trio, Belle Starr as well as with Stephen Kellogg and the South West North East Band. 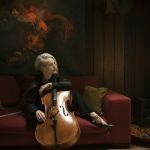 She has also sung and played fiddle with Jim Cuddy, Steven Page, Calexico, Joel Plaskett, Rose Cousins, Alan Doyle, Raine Maida, Dan Mangan, John Borra, The Rattlesnake Choir and Justin Rutledge, among others. Not limited to band performances, Miranda has appeared in various theatre productions including the Dora winning productions of ‘Parfumerie’ and ‘Spoon River’ with Soulpepper Theatre in Toronto. 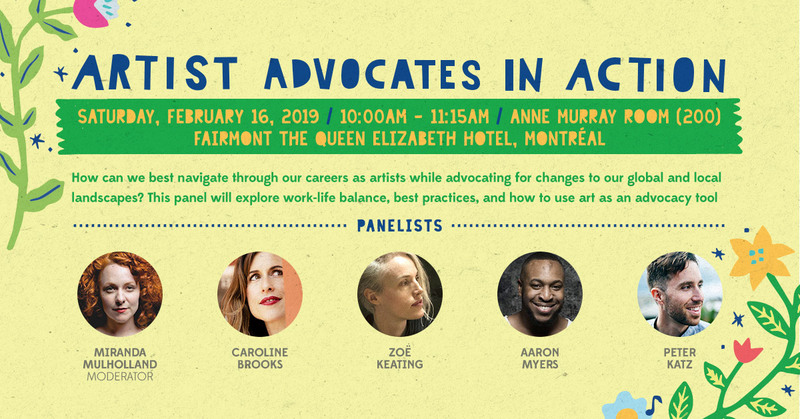 Musician, label owner and music festival founder Miranda Mulholland, in participation with Music Canada, will present a panel discussion at Folk Alliance International 2019 titled Artist Advocates in Action. The panel is scheduled for Saturday, February 16 from 10:00 am to 11:15 am in the Anne Murray Room at Fairmont The Queen Elizabeth Hotel in Montréal. The discussion will explore various elements of artist advocacy including work / life balance, best practices, and art as an advocacy tool. How can artists best navigate through their careers while advocating for changes to global and local landscapes? What is the personal cost and how can artists maintain their own interests while championing for necessary causes? 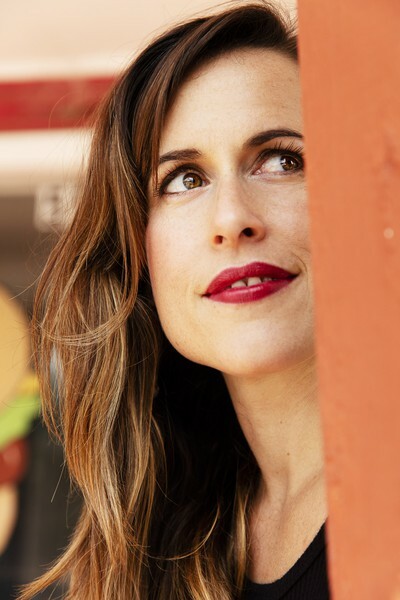 Moderator Miranda Mulholland will take the panelists – all practicing artists and advocates – through their own experiences, fears, challenges and triumphs. Mr. Myers is a life-long social activist and musician who uses entertainment to increase awareness of social issues. While a full-time college student Mr. Myers ran unsuccessfully for the office of Mayor in Corsicana Texas. In 2008 he served as a field organizer for the Obama campaign in Florida. Mr. Myers is also a skilled volunteer coordinator event manager and public speaker an experienced music teacher and an army veteran. He has also served as National Director of the nonprofit Global Family Program. A jazz and soul musician Mr. Myers is the Resident Artist at Mr. Henry’s Restaurant in DC. Folk Alliance International is the world’s largest gathering of the folk music industry and community. To attend this panel you must be registered for the conference. Registration also gains you access to conference showcases, and passes can be purchased from the Folk Alliance International website.